I was looking at a photo of Izagirre posted to the Tour of Romandie thread, and started thinking about how bikes might look if the UCI hadn't stepped in and stopped the evolution we were starting to see in the 90's. Bikes were starting to look pretty freaky back then! It would have to be pretty crazy at this point. Really lament not seeing that evolution happen. 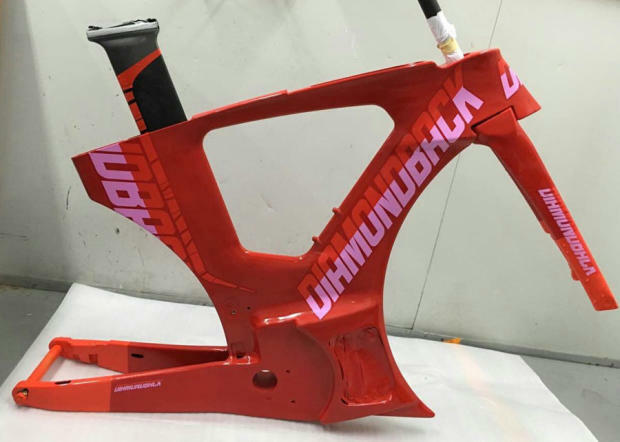 It is cool to watch mountain bike tech progress–are they under any similar regulations at the World Cup/Tour/Whatever level? I don't follow MTB racing, though I am an avid mountain biker. Just a lament for cool gear not realized. Kind of sad. I don't know really. The stuff has to be able to sell to the likes of you and me, so I suppose that's the limiting factor. I always thought it strange that bikes are made of so many bolt-on non-integrated parts, but that is a factor of the oem manufacturing industry I suppose. The industry is divided into companies that make frames and companies that make bits. Why don't Campagnolo or Shimano make frames? Look tried their frames with various integrated bits but it hasn't really taken on. Nevertheless the last 30 years has seen some pretty big changes. I don't know really. The stuff has to be able to sell to the likes of you and me, so I suppose that's the limiting factor. I tend to think it's the other way around. 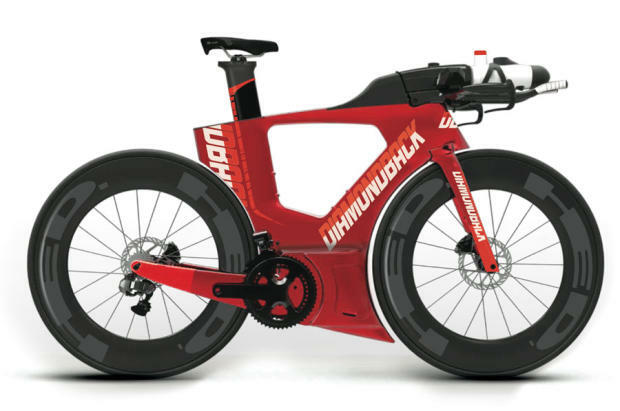 I remember when Indurain's "Blade" bike came out. Shortly after that TREK came out with their Y-Foil. 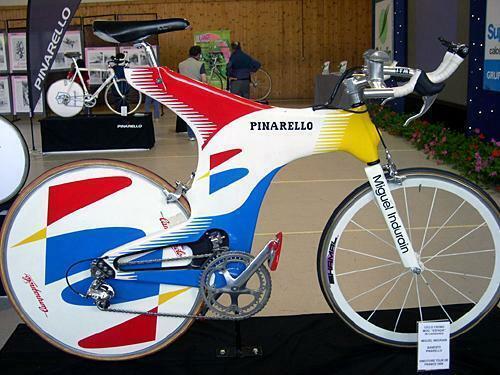 That thing was pretty popular around Seattle in the 90's, at least with the Tri crowd. I think the lack of radical innovation at the pro level has suppressed innovation. True, but I think with the opportunity of carbon fiber, some pretty interesting shapes have gone un-realized. Definitely true but then I never regarded the Espada as something I would end up buying someday. It's a bit like car manufacturers displaying their outlandish prototypes at auto shows, stretching the imagination. How many of those bizarre bubble cars and space age coupés ended up on the road? Interesting discussion. 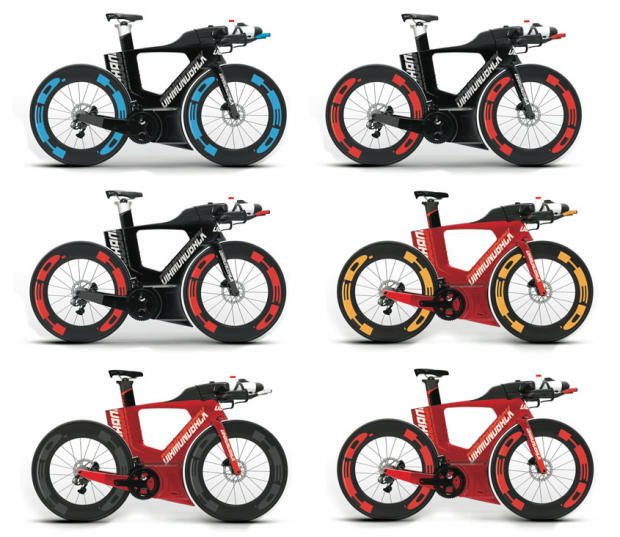 My angle on it is that innovation in cycling is perhaps an unequal banquet. The examples you gave all concern frame shapes, with pretty standard groupsets and finishing kits of the day affixed to them, almost as an afterthought. So what have we seen in component innovation since then? Electronic shifting, disc brakes, oval rings, 10-speed cassettes and Rotor's new hydraulic kit. 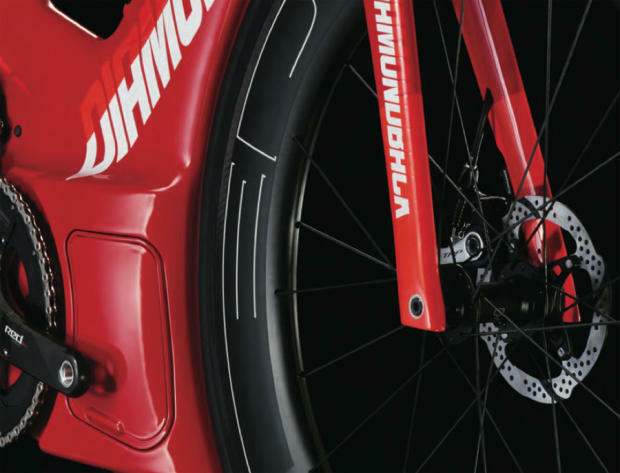 Much of the rest has had to do with making things more aerodynamic (brakes in strange places, the micro-evolution of Shimano's perennially hideous STI levers) or slightly more efficient. For wheels, we have seen the rise of deep section rims, hubs with ceramic bearings and some research on tyre width but nothing too disruptive. 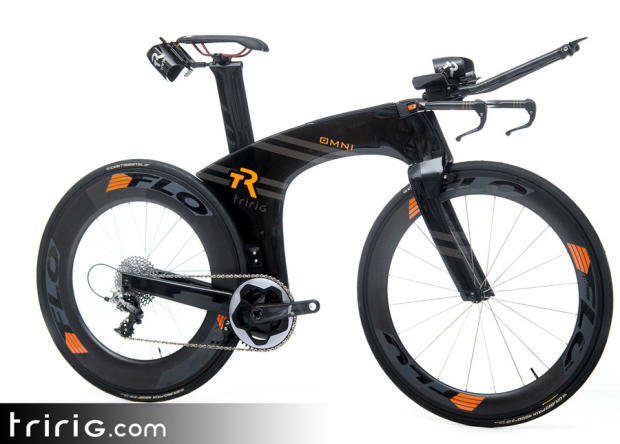 The thought occurs to me that amateur races will be even less like pro races with this. And this raises the prices of equipment - again. And maybe that's a consideration. However, another thought occurs to me. Isn't this just Formula 1? Or Indy cars, or NASCAR? No average Joe can get anywhere near the sort of equipment those take. But racing at amateur levels survives.